I’ve always been drawn to people that push the limit. Those that instead of choosing a more conventional way seek out a path that can be rocky, not easily traveled but worth it in the end. Call them trail blazers, mavericks, risk takers or just plain lunatics most that chose this path have the stones to go where others too timid only dream of. They tend to have the heart and passion to craft great works of art, amazing cuisine or some other creative endeavor sharing a piece of themselves with the world. The small village of Prepotto in the Carso region is home to more than a few of these creative thinkers. The families Skerk and Kante are comprised of people that not only battle the average problems of day to day vineyard work but happen to be located in a part of the world that planting and cultivating a vineyard is to say the least incredibly challenging. The Carso, a small region located between the border of Slovenia and the Adriatic sea is known not only for it’s ruggedly beautiful limestone stone cliffs, fierce winds called the Bora (northern to north-eastern strong winds that rage through the vineyard), but also very imaginative, driven people producing fabulous wine. 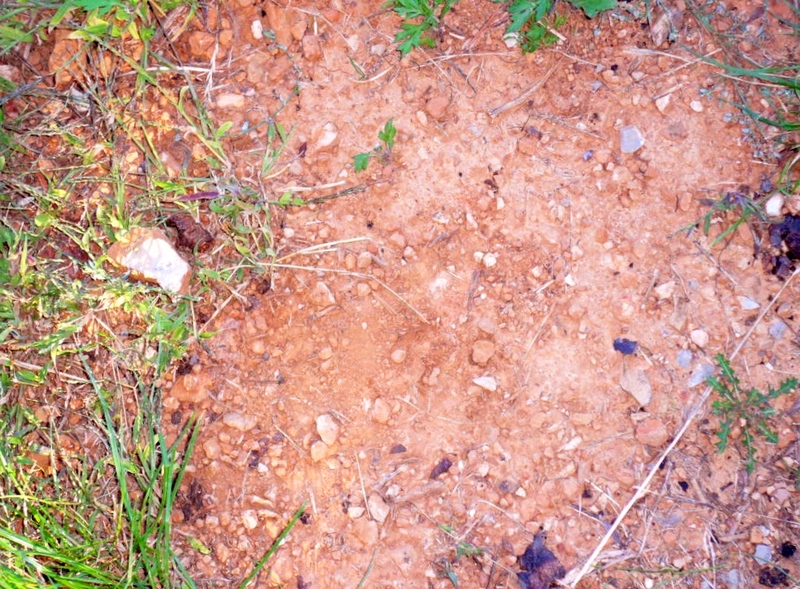 Soil– The Carso is basically a land without a soil, there is limestone subsoil, but little topsoil. 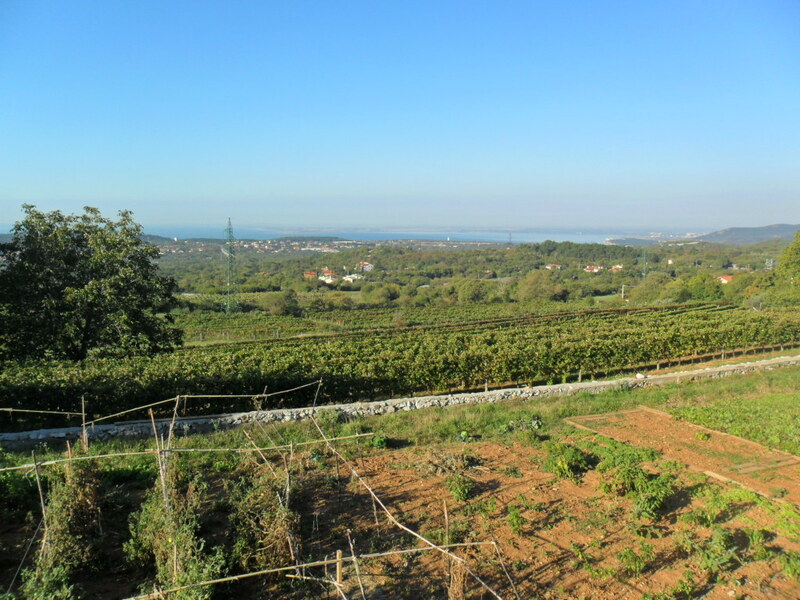 To create a vineyard, deeper soils have traditionally been dug up from near Trieste and trucked in, enough to provide about 80 centimeters depth of red earth. It can take up to 1,000 truckloads per hectare to form a vineyard; this should provide a bit of contemplation for those who wants to argue about terroir being defined by the soil of an individual site. This red, iron-rich reclaimed soil lends the wines a characteristic acidity and mineral notes. This is how it has been done in the Carso for generations and once a vineyard is set soil amendments are rare. Paperwork for this daunting task can take up to 5 years according to Goran the nephew of Edi Kante who guided our group in the vineyards and cellars of his uncle’s estate in the village of Prepotto. 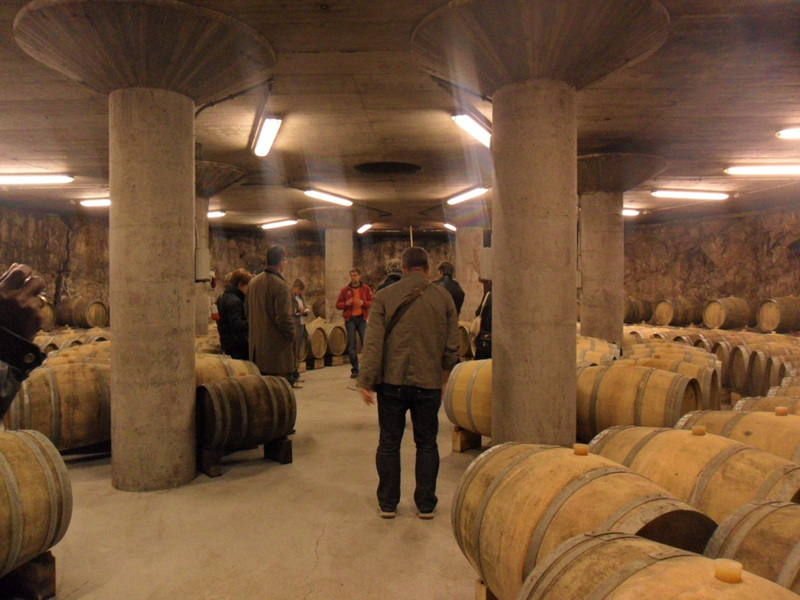 Cellars– The wine cellars of Carso are truly some of the most magnificent and imaginative I’ve ever seen! Edi Kante’s fabulous cellar reminded me more of the lair of some evil super villain than a place to make and age wine.﻿﻿﻿ ﻿Kante created a cellar deep underground with 3 different rooms, three different temperatures, three different humidity’s and all containing the ideal conditions for the wines to be aged and matured in a natural condition. That translates to 18 meters below the surface of the earth, solid limestone with walls that are cold like a refrigerator and housing approximately 70,000 bottles. 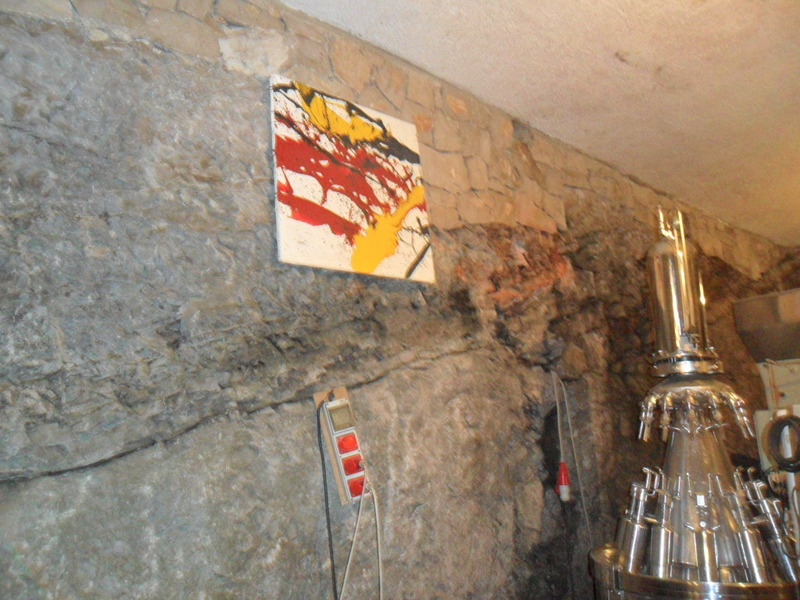 Edi’s own colorful artwork that appear on the labels of his wine also adorn the walls of the cellar at every turn. ﻿Skerk’s cellar created by winemaker Sandi Skerk, (an engineer by trade) is also a sight to behold. Formed by cutting through the limestone with diamond studded cables its smooth walls are interspersed with traces of old vine growth and natural pockets of cavernous grottoes. A small grate on the floor covers a hole that according to Sandi was at least 100 feet deep. They had gone down that far before coming back up but felt breeze from further below. I couldn’t help thinking of the secret shaft in the book ” Journey to the Center of the Earth” by science fiction author Jules Verne. Just how far down did it go? Was there an alternate wine universe down there? ﻿﻿Varietals– The vineyards of the Carso are planted with a variety of grapes including Pinot Grigio, Malvasia and Sauvignon Blanc but the two indigenous varietals that seem to be the soul of the region are a white called Vitovska, a crossing of Malvasia Bianca Lunga and Prosecco Tonda and Terrano a red that comes from the Refosco Istriano family. 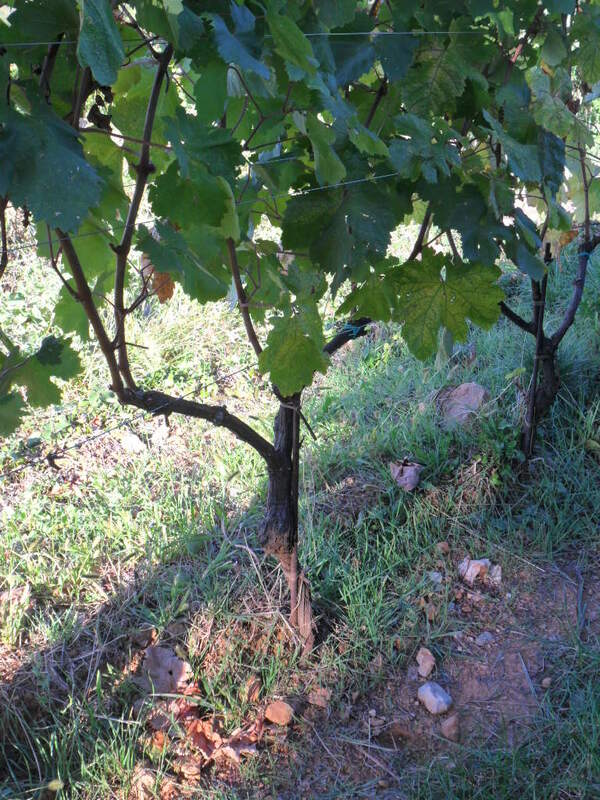 Vitovska is a thicker skinned variety that can withstand cold winters, summer draughts and the strong winds of the Bora. Terrano is thought to be a local health tonic for it’s high levels of iron, minerals, anthocyans, anti oxidants and lower alcohol content as well as it’s ability to pair well with a number of local foods. Wines– At Kante we started our tasting with their signature sparkling KK Brut, NV made from a blend of Chardonnay and Malvasia. Although I liked the clean fresh flavors with notes of fennel and herbs my research on return to NYC puts the price of this around $50 dollars, not exactly an impulse purchase for me these days. Next Kante’s Vitovska 2009 with hints of sage and fresh citrus fruit cried out for a plate of raw clams or poached shrimp. 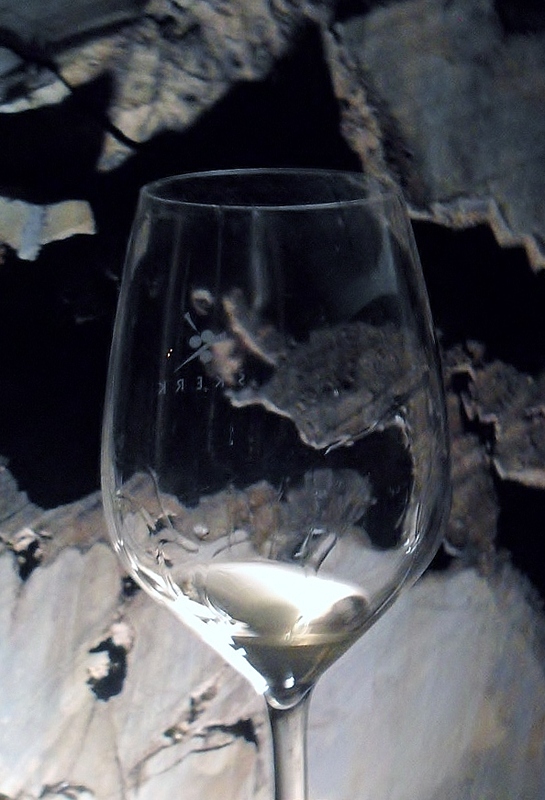 The Malvasia Istriana 2009’s mouth filling orange blossom and hazelnut notes reminded me a bit of Viognier but I really enjoyed it when paired with the local cheeses offered at our tasting. The shining star for me was the barrel fermented La Bora di Kante 2001 Chardonnay. Hints of banana’s foster, baked apple and a lacy minerality wafted up from my glass. Scoring a bottle of this I drank it my last evening in Italy, sadly it is not readily available in the US. At Sandi Skerk‘s his ramato or orange style wine was my favorite. Called Ograde it is a blend of Vitovska, Malvasia, Pinot Grigio and Sauvignon Blanc. The Pinot Grigio macerated on it skins is what gives the wine its distinct color. The grapes that are used to make Ograge are harvested, destemmed and placed in open barrels for 15 days, during which time fermentation occurs with the wine in contact the skins. Sandi punches them down by hand and then presses the grapes and transfers the wine into 550L Tonneau barrels. The wine remains there until next harvest, when it is racked, blended and placed in stainless steel until the following spring when it is bottled. Sandi also offered us barrel samples of his tasty Vitovska and Malvasia. These grapes are left to ferment for about 15 days uncovered, then the barrels are covered and the wine is left on its skins for 3 months in 20-25L barrels. The wine is then pressed and returned to the same barrel where is rests till the next harvest and under goes the same treatment as the Ograde. Many local farms and vineyards open their doors to offer not only wine but cheeses, olive oil and other food products produced locally. This tradition is known as osmice, a word stemming from the Slovene word for 8, osem. In the past the establishments participating where open for 8 days a few times a year. Today in Carso this may extend to 10 days or more at different times throughout the year. Small roadside signs adorned with ivy branches point to these locations but a local map is available online. At Kante we where served an array of locally produced meats and incredible artisan cheeses that where very different from others I had been served on my Italian adventure. When I asked about them I learned that not only where they all cows milk but a few where aged in a very unusual way. Cheesemaker Dario Zidaric’s Jamar cheese was my favorite with a nutty, buttery yet earthy taste finishing with slight notes of pineapple. Dario’s 90 cows produce 700 liters a day of unpasteurized organic milk (resulting in 150 lbs, of cheese). He makes eight or nine different styles of cheese from the regional specialty Montasio to to the wildly delicious Jamar that are sold both locally and in restaurants in Austria, Italy and Switzerland. What is so different about Dario and how he ages his cheese? His aging cave is not a fancy temperature/humidity controlled walk in fridge or even a cellar, it’s actually a cavern deep in the earth. 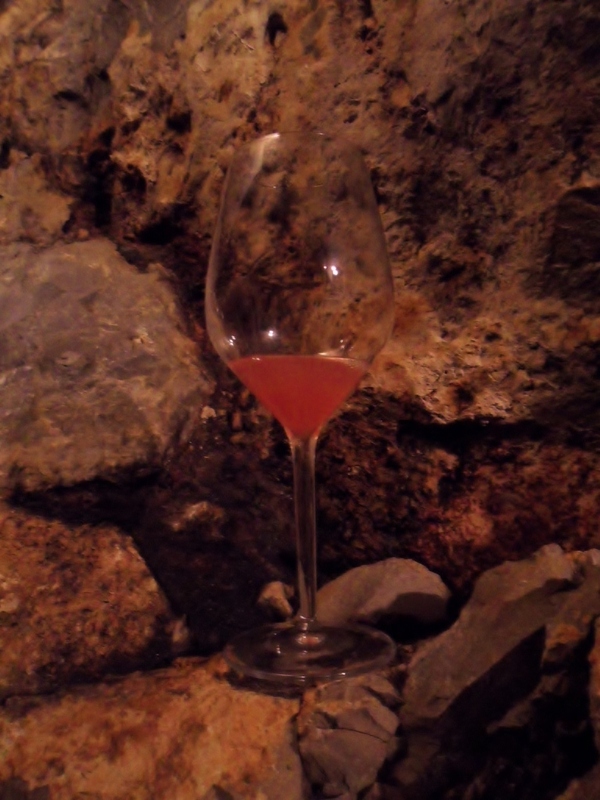 Dario’s Jamar spends four months ripening in this very damp, very dark cave 250 feet underground. Now I’ve been in many cheese caves but I’ve never had to suit up in anything other than a hair net and sterile booties. This cave requires wearing serious mountain climbing gear, you don’t walk down, you drop down, in full spelunking or potholing gear. Dario does this once a week, taking 100 fresh, 10-lb cheeses with him and bringing a similar number of aged cheeses back up from their makeshift shelving. I wish I had the opportunity to see this but maybe next visit! Note: I would like to thank Gabriella, Ryan and Robert the minds behind the EWBC and the Consortium of Carso Winemakers for making this visit possible. Next A tale of Italian food and wine pairing, past and present! Recipe for Frico! Great post! I have visited the area twice and will return again. It really is a special place and the products, wine, cheese or meats reflect that. I was so impressed with all the producers in this region. Truly a unique region! It’s a shame I can’t find any of the cheeses in the US, the wines are scarse as well. Thanks so much Sharon! This was such a great place to visit! 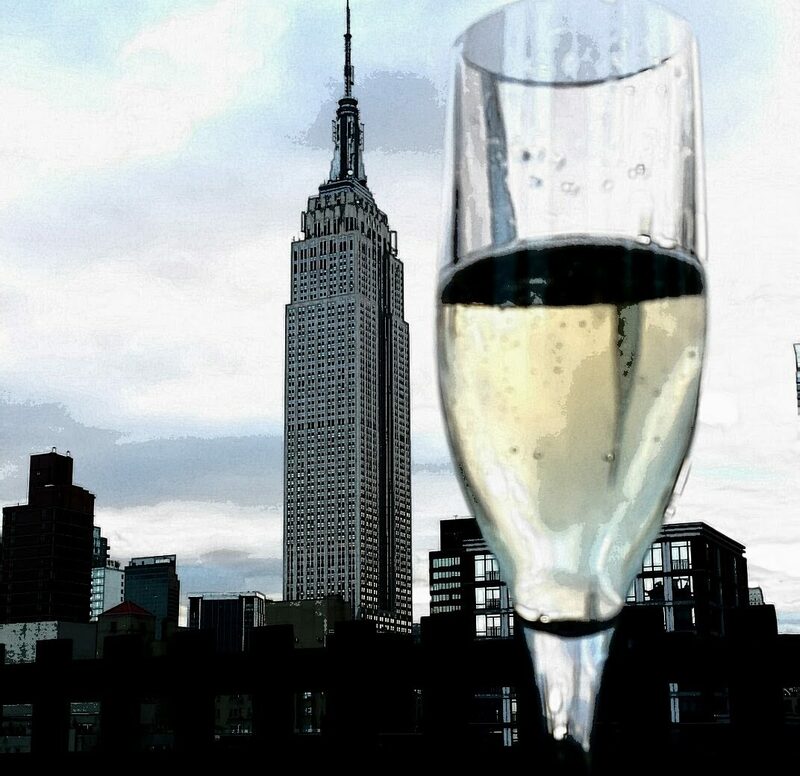 This will seem a crazy question considering my connections, but do you know where in NYC either the Skerk or Zidarich Teran wine is served? I’m a Jersey girl who married Dario Zidaric’s brother ( I watched them build the jama cave) and I can’t seem to get the relations to send me any wine. My Jersey side of the family is in love with the Terrano and I thought it would be easier to find it in NYC then wait for la famiglia to send me a present. Thanks for your help. Great post.It’s a phenomenonal corner of the world. Can’t believe I left. Thanks for commenting. I don’t know of any restaurant carrying these wines. Very few shops even have them but I believe 67 wine and Chambers Street sell Skerk’s Ograde and a few whites. I had to get them shipped from Oregon last year because these where not even offered in NYC till recently. A visit Italy to get them would be well worth it! Thanks for the quick response. You are right, I need to schedule a visit. It’s been awhile. After I emailed you I found a website that you can order the terrano. It’s http://www.saratogawine.com. Located in Saratoga Springs, NY. Should get you better shipping rates than the Oregon location. I ordered a few & hope it will hold me over til I get back there sometime this year. I’m trying to go for the osmizza. Thanks again.